Senel form Bride & Belle Luxury Weddings & Lauren from Honey Bee Bakes invited us along to photograph their styled shoot earlier this year with a focus on statement florals from the wonderful Luke and Lottie Floral Design. They wanted to create a contemporary feel specifically for Spring weddings including details such as flowing silk runners and beautiful glass and tableware. The colour palette was marble, copper, eucalyptus (our fave!!) with a hint of dusky blues. A tall copper stand was used as a centrepiece adorned with a beautiful foliage display, it would create a real talking point for your guests and can be customised with your favourite florals. Add in beautifully scented candles by our own candle supplier By Laura London and calligraphy place names and a table plan by White Olive Designs and the looks were complete. We love the idea of having a dessert table instead of a single wedding cake. 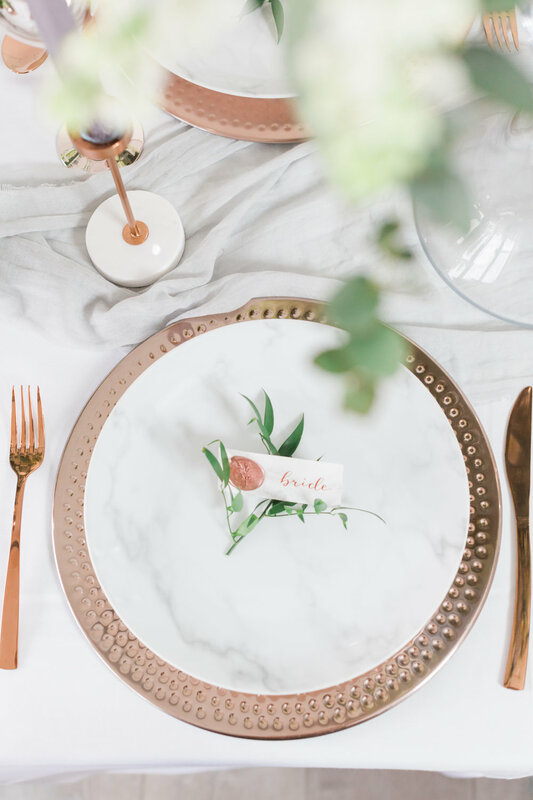 Lauren created this amazing rose gold creation as the main focus but also added tasty cake pops, meringue kisses and personalised cookies as a choice for guests. You can never have too much cake we say! 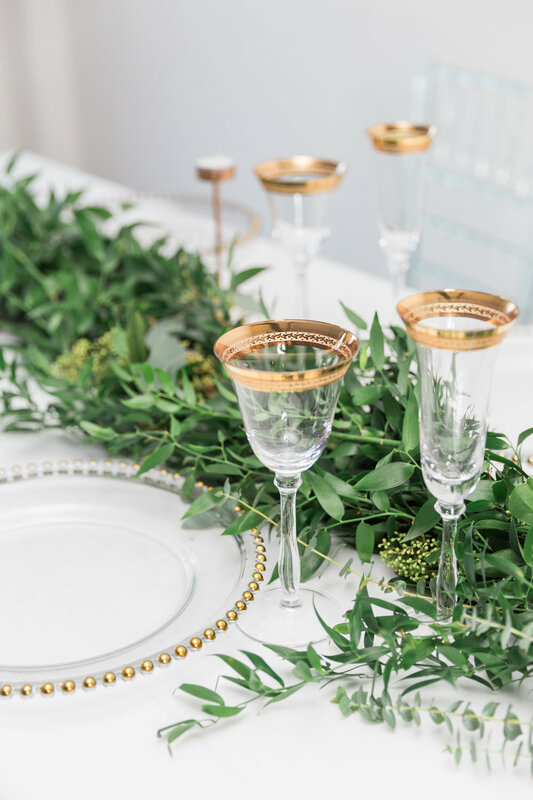 We hope to see the return of greenery and foliage for 2019 weddings, we can’t get enough of it! It’s amazing how florals can completely transform a space. Use foliage in abundance as table centres, table runners or even as decoration for your table settings, the list really is endless!